Old Dominion has been hard at work on their third studio album, tentatively due out later this year. Lead singer Matthew Ramsey tells us that this project will likely be a game-changer for the band. "You know, we just hope to put out this next album, which feels very special to us and we're all very excited about and very proud of and see where that takes us because I do think it can take us somewhere much bigger and different." 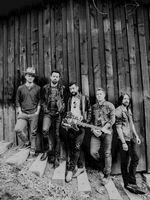 Old Dominion recently took home their second consecutive ACM Group of the Year award. They continue on their headlining Make It Sweet arena tour with special guests Mitchell Tenpenny and Jordan Davis. With the weather heating up, downtown Nashville and surrounding areas will soon become packed with tourists trying to experience Music City. 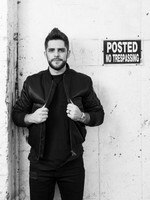 As someone who grew up in the Nashville area and now lives there with his family, Thomas Rhett has a few suggestions for people looking to make the most of their vacation in Nashville. He tells us: "Now, I would say that every artist that you love has their own bar now. So basically, pick your favorite artist and go to their bar. Go watch your artists that you love in a different facet. If they’re doing a writer’s round, like that’s always interesting to me to go watch my favorite artists go play stripped down. And we’re starting to get some of the best food in America right now, so go eat some Hattie B’s I guess." Thomas’ latest song, "Look What God Gave Her," is currently flying up the charts, as he prepares to release his brand new album, Center Point Road, on May 31st. 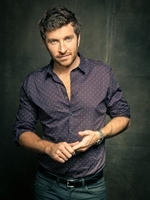 Brett Eldredge will headline this year's Let Freedom Sing! Music City July 4th in downtown Nashville. The free show will also feature performances by Dylan Scott, Mac McAnally, Jessy Wilson, The Joe West Band and more. The evening will culminate in one of the largest fireworks displays in the country. CMT will air a live, 90-minute special that includes performances from Brett and highlights from Let Freedom Sing!, along with the entire fireworks show. Brett sits in the Top 20 and climbing with his latest hit, "Love Someone." Justin Moore's new album came together at the beach. He co-wrote pretty much every song for his upcoming Late Nights and Longnecks album while spending time at his vacation house in Destin, Florida where the sea air proved to be good for the creative process. Justin tells us: "My producer now, we would just pop down to Destin, where Kate and I now have a house, and rent a place for, you know, a week, and write songs every day, and you might get one song a day or you may wind up having a couple of beers and an idea comes out and you write it at midnight, and so that’s kind of what we did with this one. I said, ‘Hey I’d love to bring these guys down to my house,' so we picked like four or five different weeks over our winter break, and it was really, really effective and a whole lot of fun. I think the writers enjoyed it. I know I did, and I think we were a lot more creative than we would have been just sitting on a tour bus." Justin's Late Nights and Longnecks album is due out on July 26th. The album features Justin’s latest single, "The Ones that Didn’t Make It Back Home," which is currently climbing the charts. the NFL Draft taking place in Nashville next week. Lindsay will open for Dierks Bentley on the main draft stage on Saturday, April 27th, and Ryan has been added to the NFL Draft Experience Stage outside Nissan Stadium for an early set on Saturday, April 27th as runners from the St. Jude Rock ‘n’ Roll Nashville Marathon & ½ Marathon end their race and pass by draft activities near their finish line. 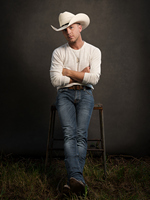 As previously announced, Tim McGraw will perform on Friday, April 26th.